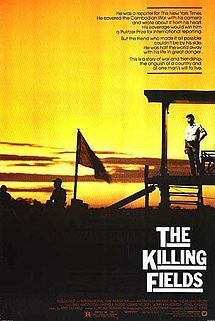 The Killings Fields is an absolutely brilliant movie but a very hard one to watch. It tells the story of Sydney Schanberg , a New York Times correspondent and Dith Pran, his aide who helps him cover the story of the Khmer Rouge's Cambodian holocaust in 1970's. Brilliantly scripted with a set of horrible but beautiful visuals. The story explores a number of different themes around the politics of the period, what war does to a country and it's people and how often the rest of the world just stands and watches. The movie also looks at the callous and harsh way journalists exploit tragedy to make their living. Sydney's own desire for the story gets his close friend Pran into serious trouble and Pran must pay a horrible price for Sydney's desires for a scoop. 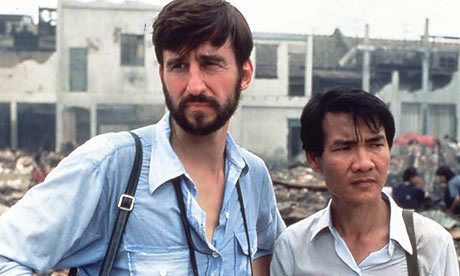 The movie features Sam Waterson as Sydney and Haing S Ngor as Pran. They play off each wonderfully through out the movie. Ngor is particularly good at playing a man who must emotionally play dead in order to survive torture and imprisonment . This movie is amazing, it will make you weep horribly more than once but the story and script are so good you have to keep watching to the very end.